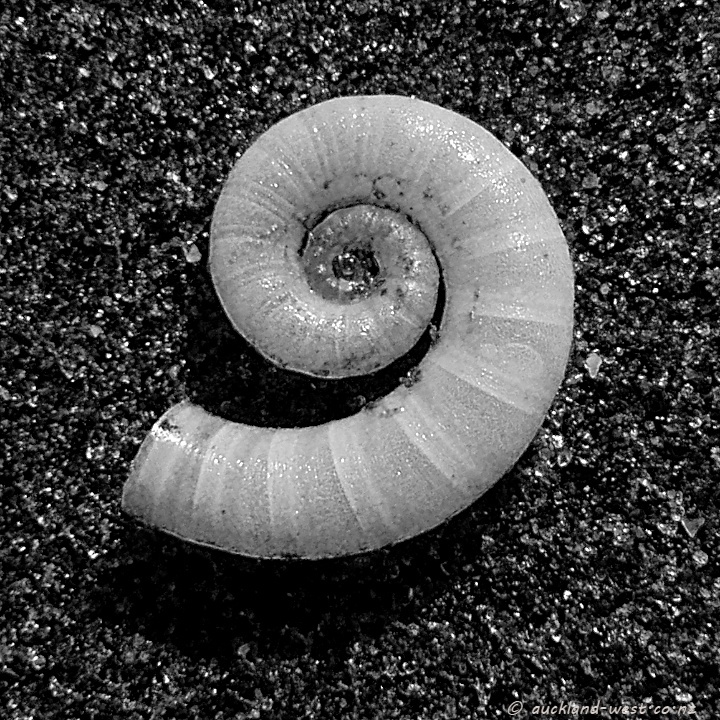 Spirula is a deep-water cephalopod. Its internal shell, known as ram’s horn shell, is a buoyancy organ of this mollusc, made up of numerous chambers. These pretty spiral shells are extremely lightweight, and Lots of them are found along our beaches (here on the black sand at Piha).